Different people of course experience their practice in different ways and take different things from it. Below are what some of the beautiful women I have taught have had to say about my sessions and what they mean to them. Tiffany holds this feminine space with utmost integrity, authenticity and truth. This circle feels sacred, where all emotions are welcomed and feminine cycles are revered. There is an atmosphere of safety and trust. The Daoist practises have changed me profoundly in that now I have a sense of self-reverence where before there was shame. I'm more comfortable in my own skin and the process of self-love has begun in earnest. Tiffany, this work is much needed at this time to help reawaken the sacred feminine in all of us. Deep gratitude to you and your offering. "Explore the depths of femininity"
The Women's Circle has come into my life at a perfect time. I found my cycle was beginning to change yet all the allopathic tests/ approaches were fairly inconclusive. I decided to do some of my own research and discovered this process is a very natural event in a woman's life. I find it reassuring and relaxing to be a part of a supportive group where I can explore the depths of femininity and learn practical and nurturing ways to harmonise and balance my self. I wanted to write and say how in readily helpful I have found your classes. As you know, I have MS and my balance and feet are not great. Your classes have really helped me to improve my balance and have helped me to work on individual muscles, often through concentrating on small movements, and this has helped across lots of areas of my life. Having struggled for some time to begin to like my body again I am at last beginning to reconnect with it and see what I can still achieve. I really do think that a lot of this is thanks to the work I have been able to do in your amazing Women's Circle and the support I have received from you and the wonderful women who I have met there. 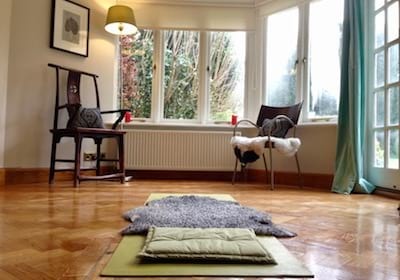 "A calm and supportive space to stop"
Tiffany's class provides a calm and supportive space to stop, relax, reflect and recharge. I leave the Circle feeling reenergised and happy. I have learned so many techniques for helping myself relax - even away from the sanctuary of the Circle. I really enjoy Tiffany's Women's Circle and I look forward to it every week! It's made such a big difference in lowering my stress levels and learning so much about how to nurture and look after myself. I thoroughly recommend these classes and the support you get from all of the women who attend. "Allowing me to rediscover myself"
After years of being busy with motherhood, parenting, working and general family life, at last making time for a weekly class with Tiffany is allowing me to rediscover myself, and my own inner life. Tiffany's women's health class is unique. She takes tremendous care to create a space that is nurturing and gentle. I leave the class feeling profoundly moved in body and spirit and with a deep sense of well-being. A very special experience. I found Tiffany’s class after I miscarried with my first pregnancy. I was looking for something to help me relax and understand my body in greater depth. The classes were fantastic, they helped me to have an oasis in my busy week when I could concentrate on myself. The sessions are intimate and supportive and Tiffany tailored movements to address our individual needs. I continued to go in the early weeks of my second pregnancy and I was very sad to have to stop when I reached 14 weeks! "Better relationship with my body"
Tiffany's classes are all amazing. I absolutely love her very gentle restorative women's sessions. I leave them totally relaxed and in a better relationship with my body. I highly recommend these yoga sessions for pre-conception. I attended Tiffany’s Fertility Yoga class while I was starting IVF treatment & then through to when I finished. The relaxation techniques she demonstrated in class were fundamental to being able to switch off & create a calm space at home. It was great how she showed techniques that you didn't need to wait each week in class for, but you could practise these at home – which she encouraged. I was particularly grateful for the extra support she provided when I traveled abroad on holiday. This was a time when I would be starting the fertility injections, Tiffany personally sent me a long list of practices for hormone stimulation that I took away with me & used whilst I was away. This helped me to remain calm & treat each injection as a peaceful step rather than a daily hindrance, this calmness helped to keep my stress levels low. This extra guidance went above & beyond what she needed to do & showed that she is dedicated at what she does & assists in each way she can to help you succeed on your fertility journey. I write this now as I approach my 15th week of pregnancy & can genuinely say that I am very glad I attended Tiffany’s classes when I did as it helped me stay calm & positive during an emotional & draining time of my life. I have been going to Tiffany's Yoga and Qigong classes for a year and am so pleased to have found this lovely teaching style and such a dedicated and skilfull teacher. 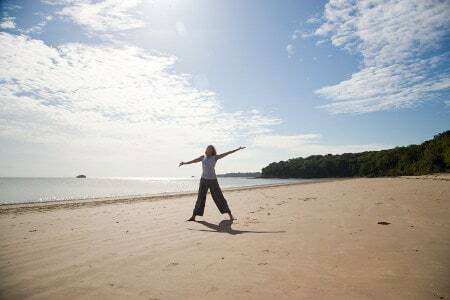 I come away from classes feeling calm, energised, strong and supple. I also really enjoy the friendly atmosphere created in the classes. I have loved the flowing movements in Tiffany's Qigong classes. The detailed description she gives has helped me to understand the relationship between the seasons, the elements and my own energy and system. I find the practice very accessible and grounding. I have just started yoga - aged 51 - and it is a revelation. I have ankylosing spondylitis and have worried my body wouldn't cope with certain positions. But I knew it would be good to strengthen my core. Tiffany treats everyone and every body as an individual. She knows and explains the movements and how they work. She has endless patience and a keen eye. She can gently realign your body so there is no strain but each move stretches and strengthens and it feels amazing. I am discovering new aspects to my body. The only thing to top it, is the way we relax at the end of the class - something I had forgotten how to do! It is treasure. Thank you. 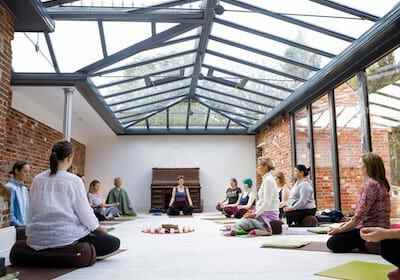 Tiffany's classes are calm, meditative, refreshing and totally restorative. I love them! Tiffany's Qigong classes are joyful. She is a wonderful teacher with the perfect blend of clear instruction, spirituality and humour. Whether we are inside, or outside under the trees in glorious Newnham, I always feel uplifted and energised after a class. “Pull my life back into shape"
Tiffany's classes pull my life back into shape - an easier, more likable, far lighter shape. I find the class to be nourishing on a psycho-spiritual level and creatively fulfilling. I enjoy learning about Daoist thought and ideas and being able to apply them to my life such that my MogaDao practice enriches my everyday life and is not just an escape from it. Tiffany’s teaching is thoughtful, appropriate and supportive. “Reaches a much deeper meaning"
"Great workout for body and mind"
I enjoy the flow and poetry of the classes - a great workout for both body and mind. Tiffany takes the time to explain the theory really beautifully which gives so much more power and meaning to the movements. 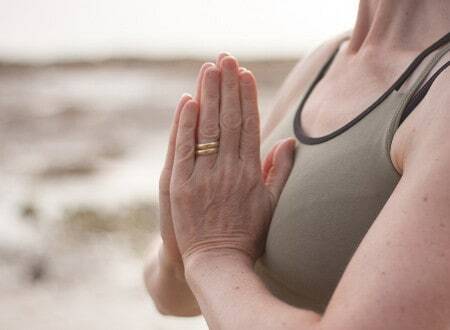 Get a feel for my Yoga and Qigong classes* to see if they are for you. Or just sign up to try one class. "Exceptional food ... Beautiful setting"
Absolutely exceptional food. Nurturing teaching and healing 1-2-1 treatments. Beautiful setting and stunning house. The only thing that would have made it even better was if it could have been another day longer!" Thanks for a very special day. You bravely and skillfully created a friendly, safe place where I could express myself verbally and physically and consider, own and celebrate my sexuality. Very powerful! Thank-you so much for your generosity in enabling & sharing this wonderful, restorative & healing practice with all your amazing sisters. I appreciated and relished your ability to share intimate practices and teachings with us in a very no-nonsense and non-mystical way. You made it all clear, sensible, direct, accessible ... I felt safe and trusting. "A moment of complete serenity"
I really loved the workshop. I found it very tranquil and promoted a great sense of meditation. In fact I had a moment of complete serenity which is something I have been searching for. I didn't expect to achieve that within a room of people. Really useful to dedicate a whole day to practice. The day was relaxing and informative! Tiffany is a great teacher; very friendly and knowledgeable. I approached Tiffany because of her experience in treating fertility with Yoga and reflexology. One thing I liked about her was how calming and empathetic her approach was towards me. I found the whole experience of fertility Yoga and reflexology a relaxing and exhilarating time. I truly believe Tiffany helped me to get my body in a balanced state, which then helped me to fall pregnant with my baby girl after seven years of trying. I would highly recommend Tiffany to anyone needing fertility help, or indeed help for any other issues or just generally wanting to relax. I started seeing Tiffany for fertility reflexology. We were having difficulty conceiving our second child and had started fertility treatment. I found Tiffany very supportive and thorough, she reviewed my journey to date including lifestyle, diet etc. I found our reflexology sessions deeply relaxing. We did conceive and now have a beautiful healthy baby girl. I found reflexology wonderful and believe it helped us conceive. I would highly recommend Tiffany. I had private Qigong and Yoga sessions with Tiffany while I was going through several IVF cycles. I really looked forward to these weekly sessions as I found myself more grounded and calm after them. They helped me to reduce stress and keep a positive attitude whilst dealing with all the medication, needles and hormonal changes. Tiffany is very approachable and an excellent communicator and teacher. Working with her helped me to heal and to remember to nurture myself during an extremely stressful period. Learning about Qigong and the natural cycles of life was fascinating. Thank you Tiffany!"